Let's go on a safari for cupcakes. 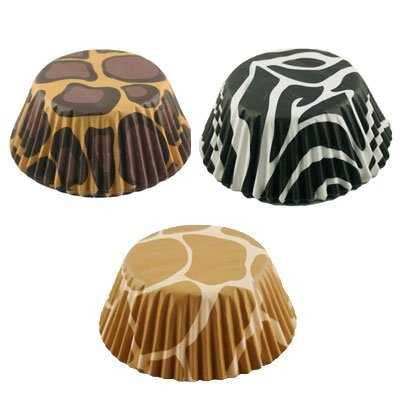 These leopard, giraffe and zebra print cupcake liners are perfect for parties, birthdays and just for when you want something a little wild for dessert! Variety pack of black and white striped, brown/tan spotted, and leopard spot design cupcake liners. Standard size baking liners. 75 cups/pkg.